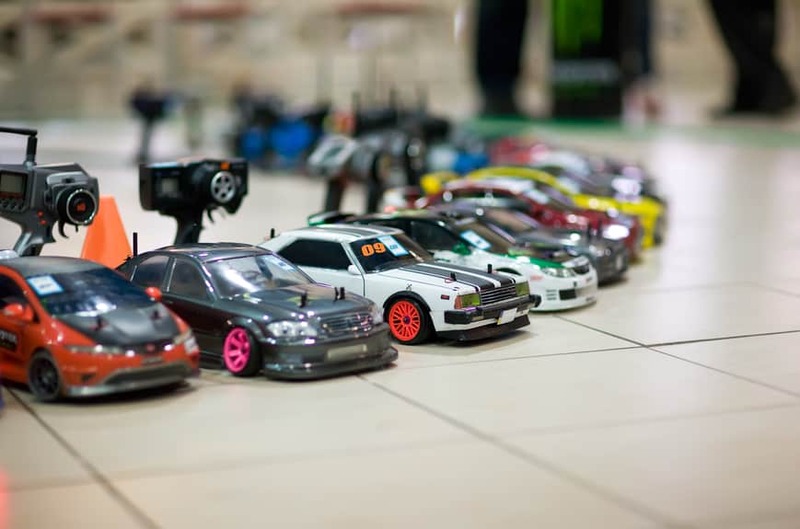 Shipping containers are converted into a place for model car drivers to race their way to the finish line. 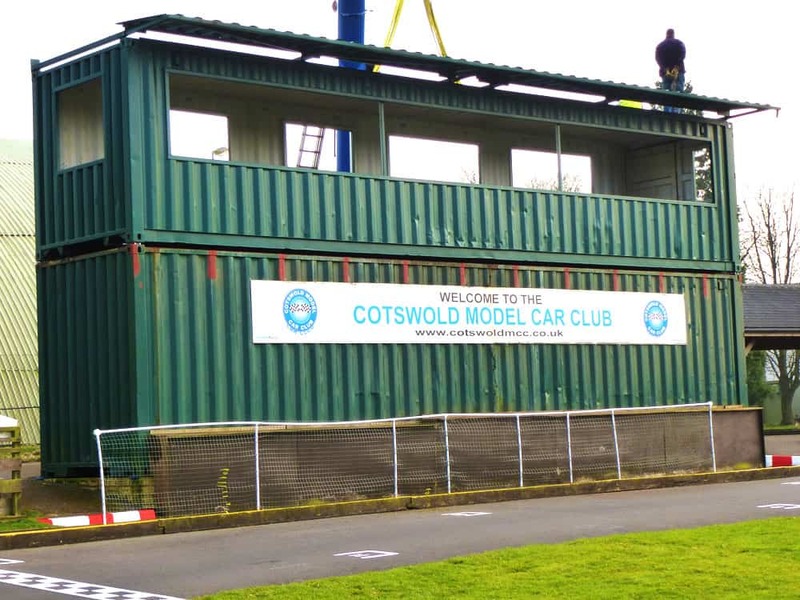 Cotswold Model Car Club were looking for ways to create an undercover, elevated area, that members could use to skillfully control their model cars at the clubs race track. This led them to the idea of using recycled shipping containers. 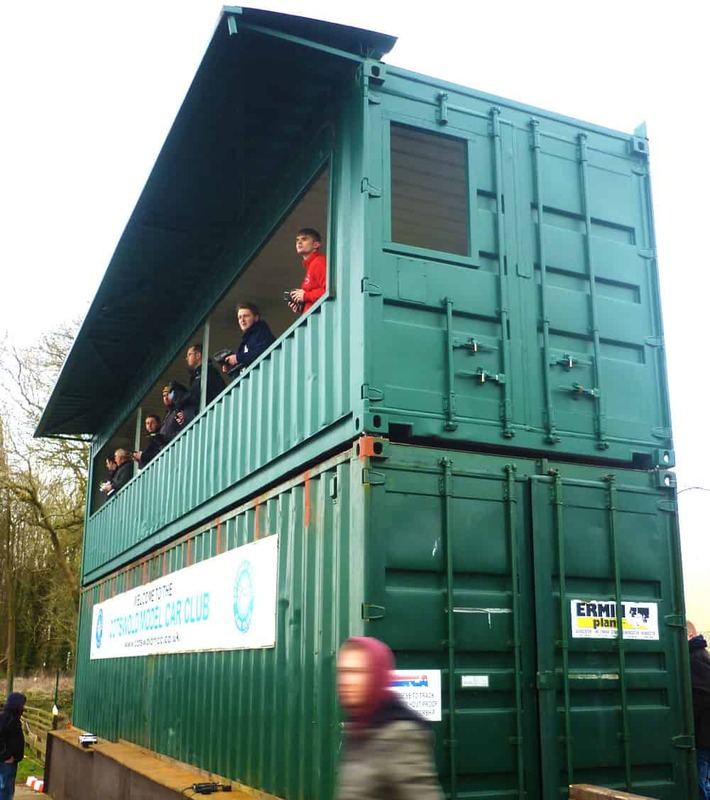 The plan was to stack 2 x 40ft containers, with the lower level container being used for secure storage, whilst the upper level container would be modified to become the driver control room – and spectator area. 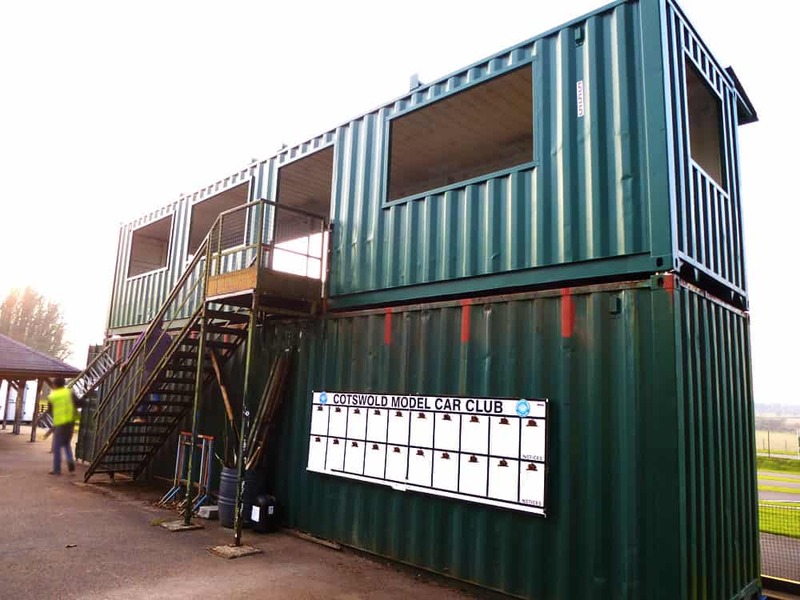 Adaptainer supplied and modified the containers according to the club’s design before placing the boxes into position on site. Model car club conversion by Adaptainer. The club’s decision to use shipping containers meant they were easily able to create an affordable and bespoke space for their members.